Toronto Police say wanted man could be in our neck of the woods. A warrant has been issued for 46 year old Harry Rajkumar. Police believe he could be in Niagara Falls. He is wanted for attempted murder, two counts of assault with a weapon, two counts of aggravated assault, two counts of failing to comply with recognizance and disobeying a court order. 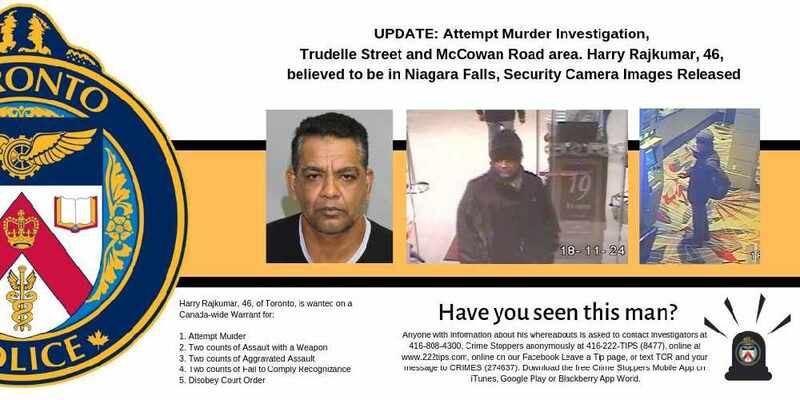 Anyone with information should contact Toronto Police by calling 416-808-4300. They can also reach Crime Stoppers at 1-800-222-8477.